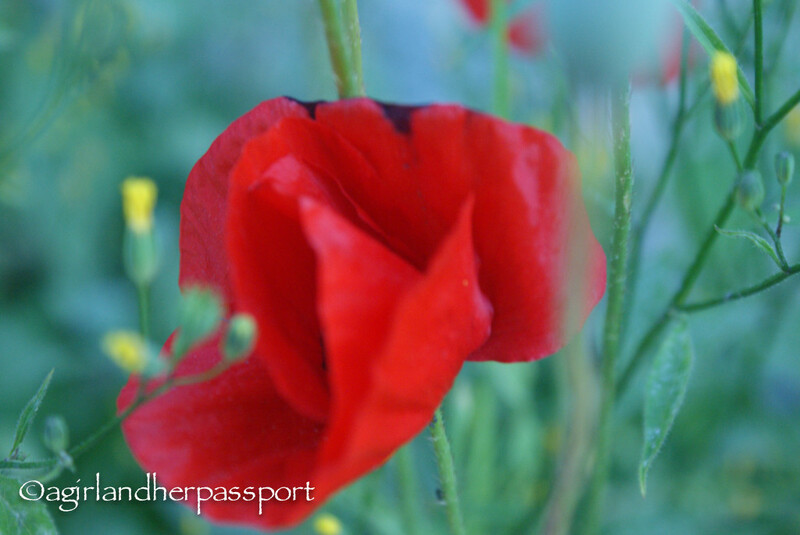 Giverny isn’t just the home of Monet, it is a beautiful town to explore. Visiting Monet’s House and Gardens isn’t the only thing to do. The village of Giverny is very pretty. 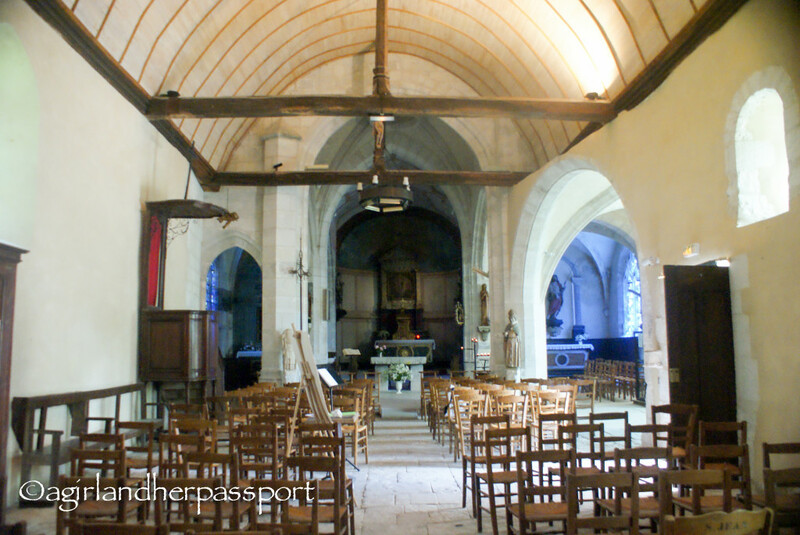 Someone asked me after my last post if Giverny was run down, as he had been told it wasn’t worth visiting. I disagree. Yes, the town has some run down houses and over grown wild areas, but I wouldn’t say the whole village was like this. It actually added to the charm of the place. 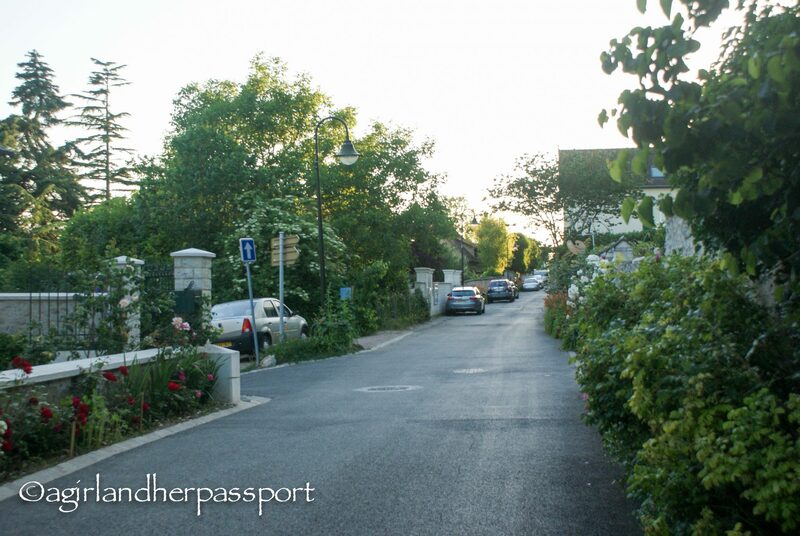 It is exactly what I expected a small French country village to look like. Since I took the train to Giverny, I walked from the bed and breakfast I was staying at to all the places I went. The day I arrived, I walked to have dinner. I discovered that all of Giverny is one big garden. Almost every house I passed had a beautiful garden or had lovely plants outside. Many of the homes have historic plaques out front relating to what artist was living there during Monet’s time. The walk was not only beautiful, but informative. There are things to do other than Monet’s house as well. You could easily spend the day reading all the historic plaques. I only read some of them. 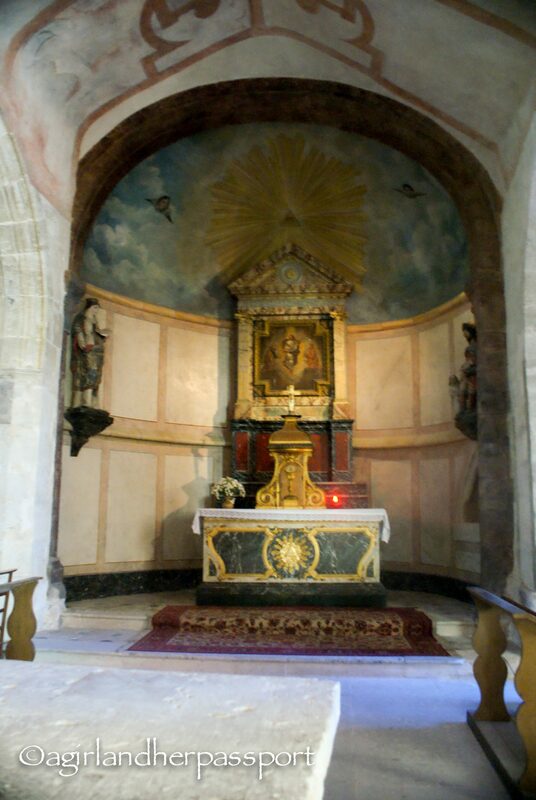 The Church Sainte Radegonde is worth a visit. The church is Roman and the original part of the church was built in the 11th century! It was expanded between the fifteenth and sixteenth centuries. Claude Monet is buried in the graveyard along with some of his family. There is also the Impressionist Museum. The museum is just down the street from Monet’s house. 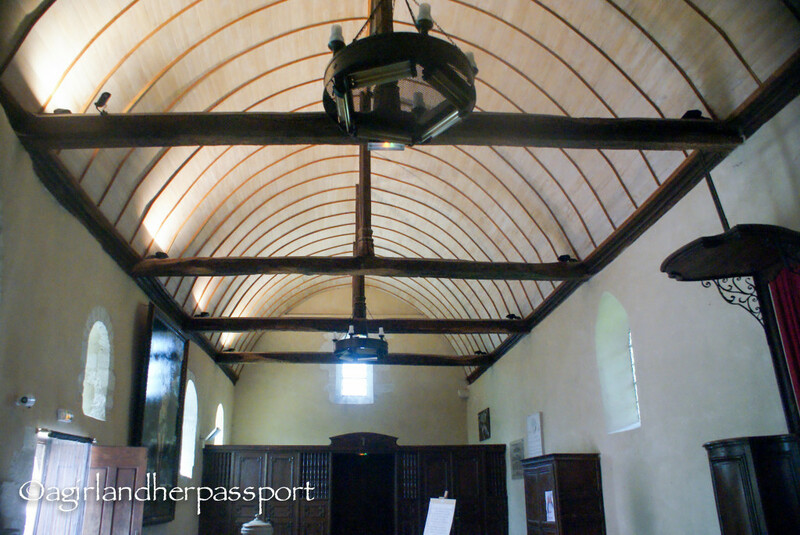 The museum is dedicated to the history of impressionism. It is run in part by the Musee d’Orsay. Keep it mind that both it and Monet’s house are not open in the winter months. It also has a garden and wonderful restaurant. Where to stay? 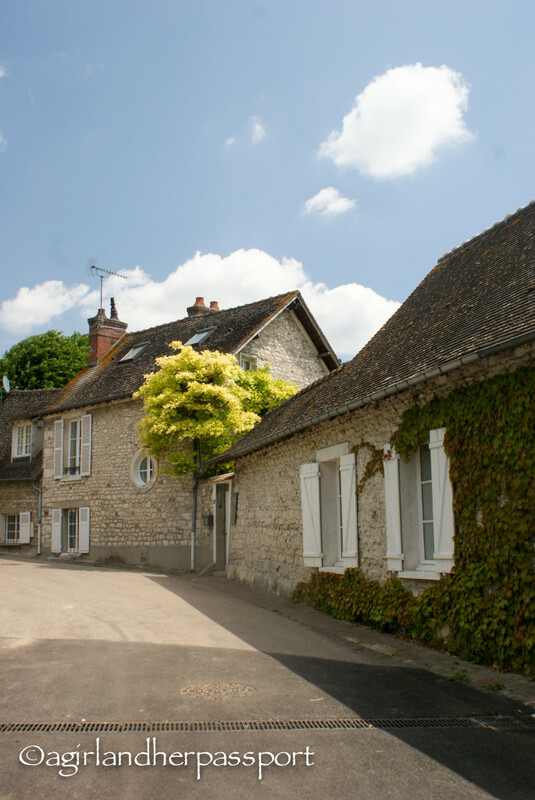 There are many small bed and breakfasts in Giverny. 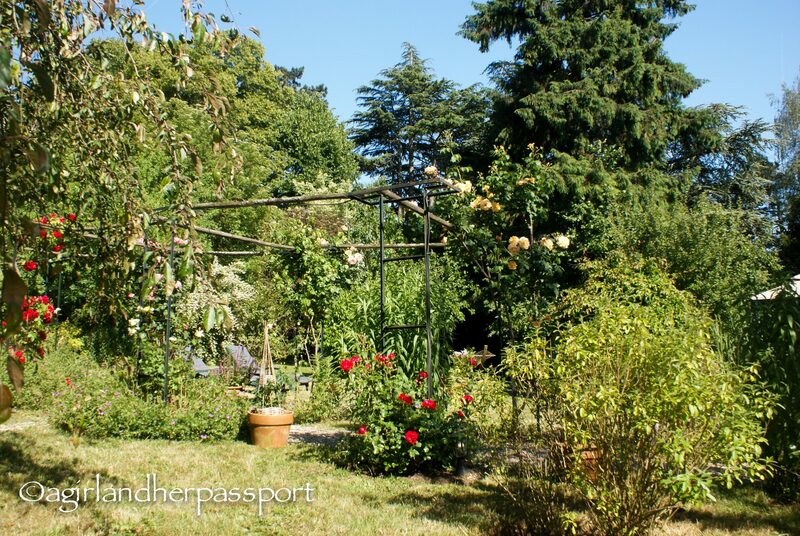 However, my recommendation would be to stay at Les Jardins de Helene. This bed and breakfast is run by the wonderful Sandrine. 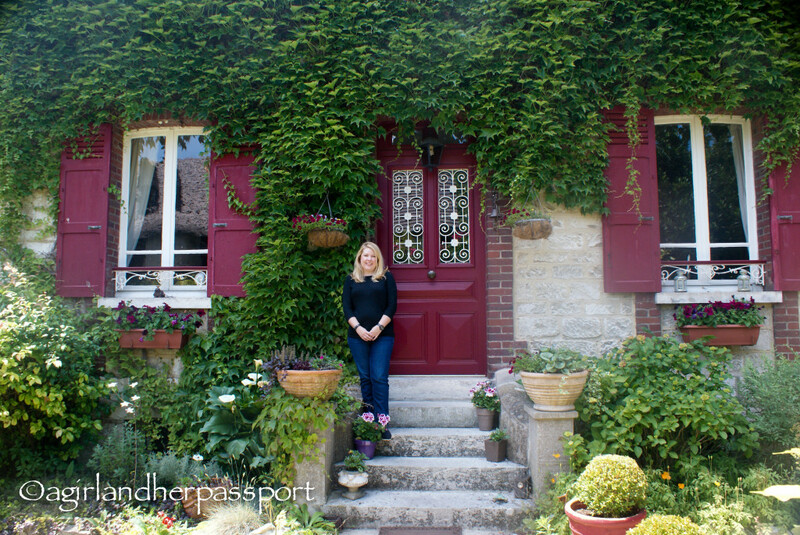 Sandrine moved from Paris to Giverny with the dream of running a bed and breakfast. She is truly passionate about making people feel welcome and at home. The house is located on the edge of town about a kilometer and a half from Monet’s House. While it is a distance from town, it was great because I might not have explored the town otherwise. 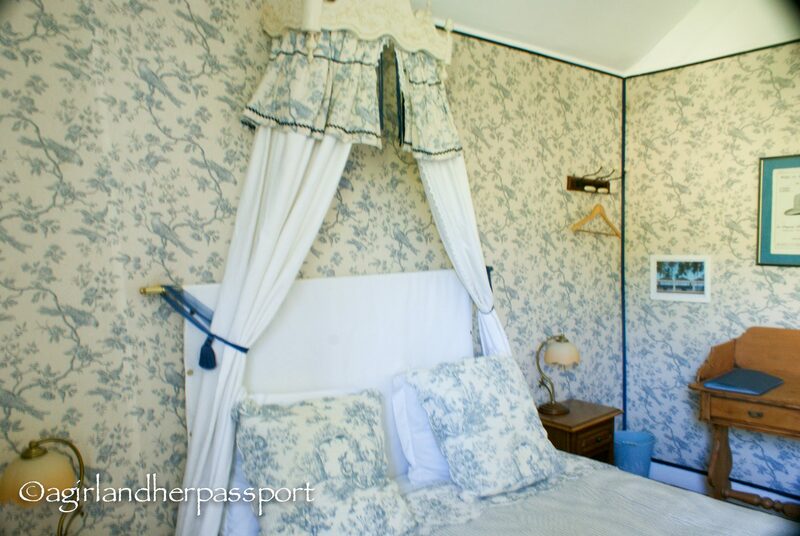 Les Jardins de Helene has four rooms each with access to a private bathroom. 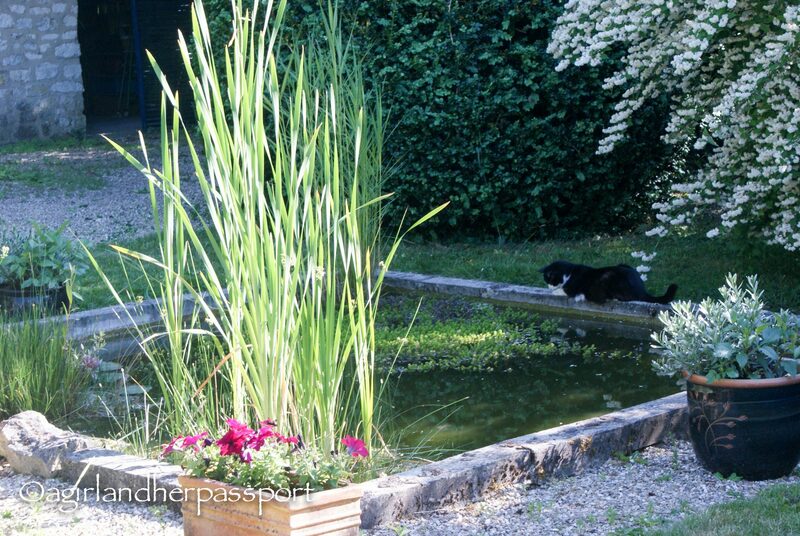 There is a wonderful garden in the back you are welcome to use with a coy pond. Sandrine serves a simple, but great breakfast. When I was there it included homemade stewed fruit and locally baked bread. Sandrine was very responsive to all my emails and even got me a ticket for Monet’s house so I didn’t have to wait in line. 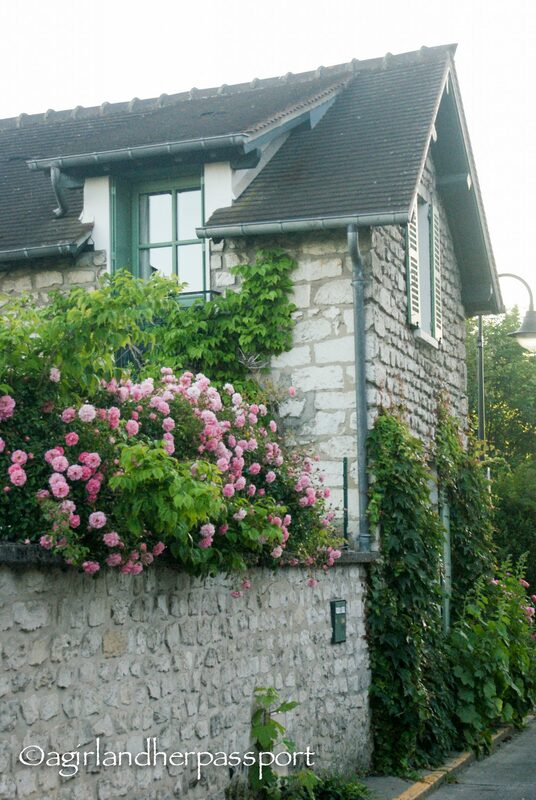 I only wished I had booked more nights in Giverny so I could of enjoyed the town and Les Jardins de Helene for longer. It is! I didn’t enjoy Paris but I loved Giverny. I love those small museums. Can be more interesting and thought out than larger ones. Well, let’s face it. I love France full-stop! Spent months there housesitting! Tiffany, your photos do justice to the place, lovely! They are great. Plus you don’t get museum fatigue! Thank you!! See, now, I don’t appreciate Paris but I’d LOVE to explore the countryside. People forget there’s more to France than Paris. You and I should be travel buddies. I feel the same way. It is! I love the decay. It add patina to life. Thank you!